In matched betting there are two things that are essential. A sports book (aka a bookmaker) offering a free bet promotion, and a betting exchange where you can lay that bet. 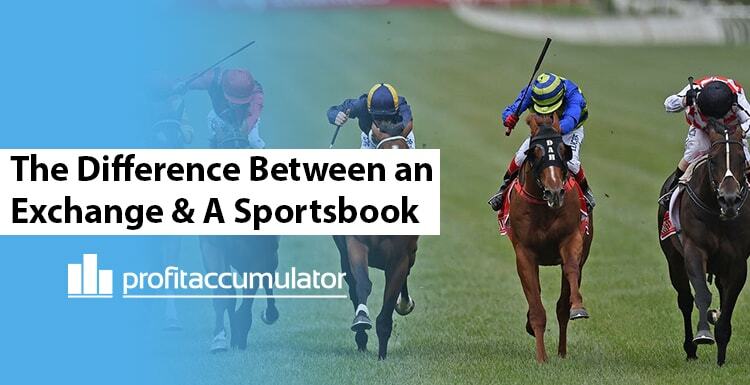 Most people already know what an online sports book is as bookmakers have been a part of betting culture for many years, not as many people however know what an exchange is or the difference between the two. In essence, they are very similar. You can place a bet on both types of platform. However, there are a few important differences. Firstly, exchanges give you the ability to place a different type of bet. Commonly called a lay bet. A lay bet is where you bet for something not to happen. For example, you might place a lay bet on Man City to win. This means you are betting that Man City are not going to win. This is a different bet to betting the other team would win. A back bet in this case would be for Man City to win. This different type of bet obviously opens up a whole other type of betting, where you can bet against an outcome happening. The other difference is how they make money. Betting exchanges charge a commission fee (typically a percentage) on bets placed to generate revenue. Bookmakers make money on bets losing. Also, with bookmakers their users are guaranteed a level of liquidity (total cash in the specific market). You could place a £1k bet on any professional football match listed on the site, for example. At an exchange the maximum bet amount is dictated by the amount of liquidity in each specific market type. For example, a smaller match will have less betting activity on it and so the liquidity will be lower. Meaning you won’t be able to place big bets. At a bookmaker, the odds are set. Set in the sense that you cannot place a bet at odds that are not listed on the bookmaker site. The odds will fluctuate, but you cannot place a bet at odds of 2.5, if the odds listed on the bookmaker are 2.2. At an exchange you can offer bets at different odds. It can literally be at any odds you want. That’s not to say however that the odds will be accepted by an opposing party placing a lay bet against those odds. This is the core difference between the two. A betting exchange provides a platform to pairs bettors against each other for bets to take place. It allows users to go head-to-head against each other and create their own markets - one backing and one laying. For example, if you think the football team you want to back are going to drift to a bigger price due to team news, you can put a request up and set a higher price than is currently available and another user may think you are wrong about your estimation and be prepared to match your bet at the bigger price. Matched betting is the is a quick and easy technique of making money online through bookmaker free bet offers. Essentially, we turn the free bets into real cash by covering every outcome of an event to make profit! Click here to visit our homepage and find out more information. Although it has betting in the title, you do not need to know anything about gambling, sports or online casinos to get involved (a list of the best online casinos can be found here - https://tunf.com/uk-online-casinos/). Most of our members are not sports fans but that does not stop them earning extra cash each and every month. We have step by step instructions and video tutorials to guide you through the offers. There is also our forum, which is a great place to hang out and chat with like-minded matched bettors, both newcomers and experienced members alike. We have 100s of free bet offers on Profit Accumulator, ranging from £5 to £100 in value and each with step-by-step, easy to follow instructions on how you can profit. Sign up to our free trial today and you can earn over £45 from our free trial. Click here to get involved. If you like what you see, then you can sign up to the full membership and gain full access to the whole Profit Accumulator package. All the offers, all the software and full forum access! Matched betting in the news.